New Delhi: Renault, the number One European automotive brand in India, has announced exciting new pricing on MY18 Duster range, owing to an increase in localisation. This strongly reflects Renault’sfocused strategy to grow its business in India with a strong product-offensive planbacked by anaggressive localisation strategy. Renault created an all-new segment in the Indian automotive industry with Duster, which has continued to dominate the Indian roads since its launch.The2018 Duster petrol range will now start at INR. 7.95 Lakhs (ex-showroom) while the diesel starts at INR. 8.95 Lakhs(ex-showroom). With the MY 18 range reshuffle, new customers can save up toINR. 1 Lakh effective March 1st, 2018. 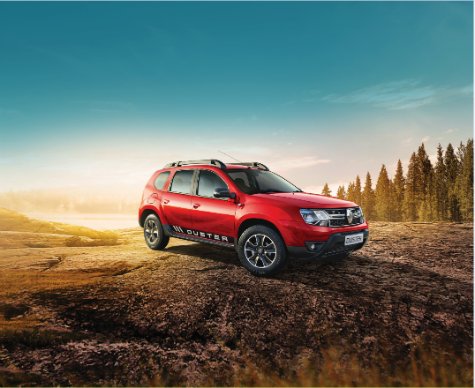 The Duster range offers unmatched performance, driveability and efficiency. A stylish and sturdy SUV, with appealing looks that convey both solidity and dynamism, the exterior design is striking, reflecting its iconic SUV appeal.